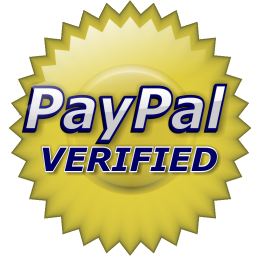 Our lawn mowing service offers competitive pricing, no contract lock in, flexible cutting schedules, vacation mowing and we even offer online payments for lawn care services via credit card! As part of our ongoing mission to provide you with the best lawn care service, the Lawn Boys offer additional lawn care services such as aeration. Let your lawn breathe and do what the golf courses do. Through the process of aeration, soil compaction is relieved and oxygen can then travel to the root zone. Aeration tines penetrate the soil and eject cores onto the turf surface where they are utilized as a productive top-dressing. Most lawns require semi-annual aeration to restrict thatch accumulations. 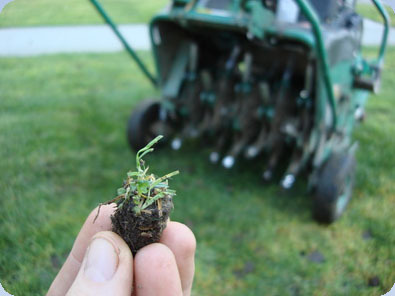 Aeration removes 50% of thatch creates watering savings of over 60%, and provides root zone with oxygen. Aeration stimulates root growth and fertilizer absorption rate, increases turfs strength and disease tolerance, improves fertilizer and nutrient intake, helps defend your lawn against drought and weeds and promotes a thicker, healthier, & greener lawn. 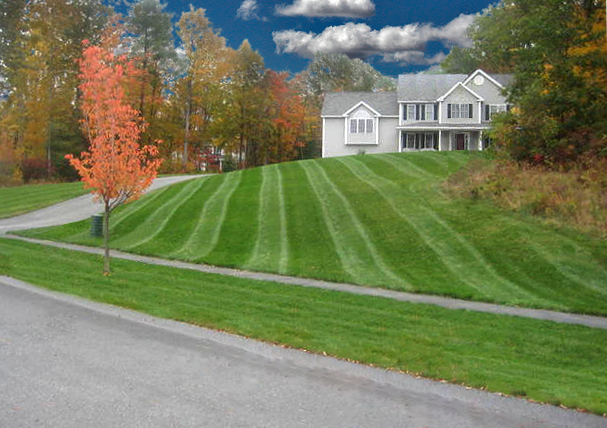 Overseeding is an overlooked activity in American home lawn care. Yardeners assume, incorrectly, that fertilizer is all that is needed to keep a turf thick and free of weeds. Grass gets tired. It needs to be revitalized every five or six years. Overseeding is one of the most important lawn care tasks, yet few homeowners ever do it. So, you ask, if I fertilize my lawn properly, why do I need to add new seed, especially if my grass looks pretty good right now? The answer is grass is not immortal. After five or six years, grass plants will slow down their reproduction rates; they get tired just like we do as we age. Thin grass invites weeds. 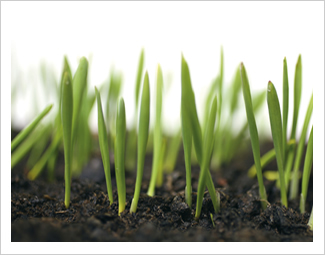 The Lawn Boys specialize in quality lawn seeding. Mulching is one of the simplest and most beneficial practices you can use in the garden. Mulch is simply a protective layer of a material that is spread on top of the soil. The Lawn Boys offer any type of mulch that fits your lawn, either organic such as grass clippings, straw, bark chips, and similar materials or inorganic such as stones, brick chips, and plastic. Both organic and inorganic mulches have numerous benefits. 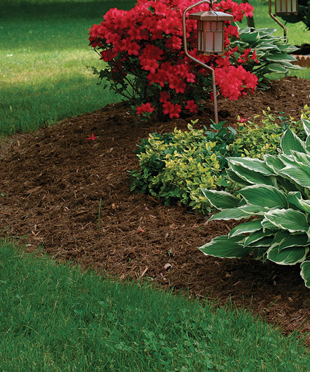 Bark chips and composted bark mulch can really make your flower beds pop! These make a neat finish to the garden bed and will eventually improve the condition of the soil. These may last for one to three years or more depending on the size of the chips or how well composed the bark mulch is. Mulches, by providing an insulating barrier between the soil and the air, moderate the soil temperature. This means that a mulched soil in the summer will be cooler than an adjacent unmulched soil; while in the winter, the mulched soil may not freeze as deeply. However, since mulch acts as an insulating layer, mulched soils tend to warm up more slowly in the spring and cool down more slowly in the fall than unmulched soils. 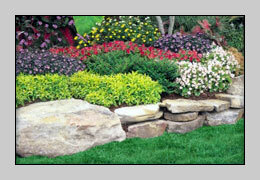 Decorative rocks can add depth and allure to your lawn and garden areas. The Lawn Boys specialize in the installation of decorative rocks to enhance and accentuate your beautiful lawn. Shrub trimming is an essential part of a healthy landscape. Let the Lawn Boys take the reigns and manicure your shrubs and bushes as part of their ongoing effort to perfect your beautiful lawn! It's important to keep your lawn care up to speed even in the off season. 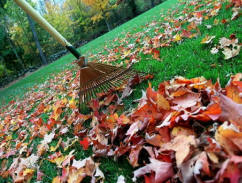 The Lawn Boys offer both spring clean up and fall leaf raking and clean up for your lawn care needs. Sometimes we get a little, sometimes we get A LOT - whichever the case, The Lawn Boys are ready to tackle those winter storms. 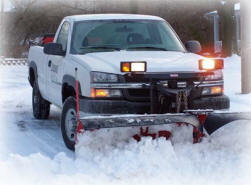 Whether in a commercial establishment or residential, we will take on old man winter! For our current customers, remember - refer a new weekly customer and receive a free mow! Call or Email Us for questions or concerns.